Whether you are seeking someone to listen and help you problem solve or a coach to gently encourage you toward your goals, the services offered, can meet many of your personal and emotional needs and goals. 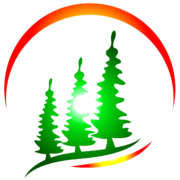 At Peaceful Pines Healing Practices, LLC, a variety of services are offered, including mainstream approaches to counseling as well as alternative therapies. It is always up to the client to decide what type of approach or service they would like to explore, but I can and do offer my professional opinion when asked. Many of the alternative approaches are not covered by insurance. Those services not covered by insurance include: hypnotherapy, reiki, spiritual counseling, past life and between lives soul regression, life coaching, Psych-K, Emotion Code and TAB technique. Please see each individual service under the drop down menu for a description and information on pricing. Out of pocket costs for insurance covered counseling sessions will depend on insurance coverage and plan. Minimum cost could be as low as a $15 or $20 copay up to a maximum out of pocket cost of $100 to $130 per one hour session (this varies by insurance plan, deductible, company, etc). Please call or e-mail to discuss more about the cost of counseling sessions. Currently we are in network with Security Health Plan and Security Administration, WEA Trust, Anthem Blue Cross/Blue Shield, Aetna, Multiplan, Humana, Aspirus Arise and WPS.